One of the more significant and the most westerly of the Angus Glens, Glen Isla is a wide valley in the southern Grampians, between Glen Shee and Glen Prosen. Hungry adventurers can enjoy a bite to eat, and maybe stay over, at nearby Peel Farm. 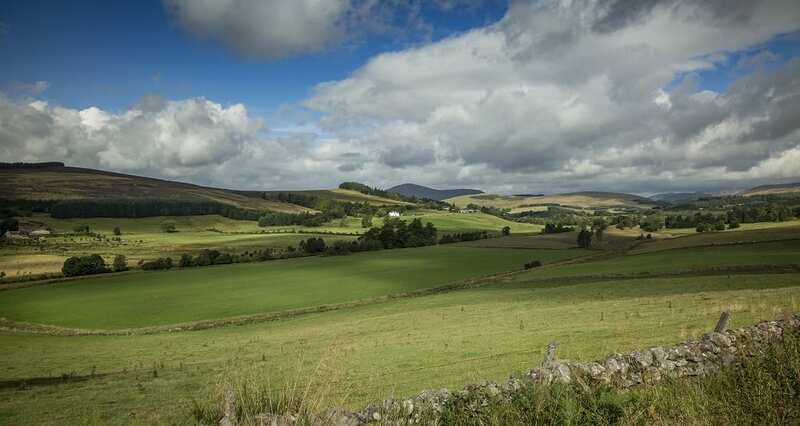 Located along the border with Perth and Kinross, the head of the glen lies close to the border with Aberdeenshire. The River Isla flows south and then southeast into the Valley of Strathmore. Part of the glen was once the property of the Abbey at Coupar Angus, but passed to the Campbells of Argyll after the Reformation. Other parts were the property of the Ogilvies of Airlie, and the two families feuded from the late 16th century, reaching a climax in 1640 with the burning of Forter Castle in the Glen. A road from Alyth passes through the lower and middle reaches of the Glen, and connects with the A93 in Glen Shee.